The Ridgefield Library has a wide range of fun and informative programs for booklovers. Whatever the genre you enjoy, the Library has something for you. The Library celebrated the 200th anniversary of the publication of Mary Shelley’s classic Frankenstein or The Modern Prometheus with book discussions, lectures, film screenings, craft programs, and more for all ages! The Ridgefield Library regularly presents scholarly book discussion series. Over the past few years these have included All About Jane: Celebrating 200 Years of Jane Austen, Celebrating Shakespeare, The Big Read: The Great Gatsby, Dipping Into Proust, What the Dickens!, The Big Read: The Grapes of Wrath by John Steinbeck and Enjoying Joyce. Click on the links to find resources related to these topics and to listen to lectures. The Library also presents many other programs that will appeal to lovers of literature. One recent offering was a lecture by Dr. Mark Schenker called Give it A Rest: A Brief Survey of the Literary Portrayal of Sloth, which he presented at The Aldrich Contemporary Art Museum in August 2015. Each fall the Ridgefield Library and Ridgefield High School choose one book from the curriculum for an intergenerational exploration, including book chats led by high school students, lecutres and more. 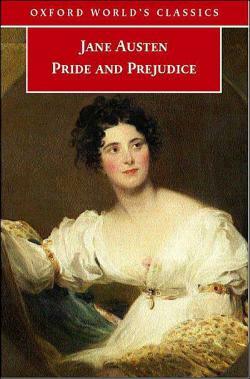 In 2017 we read Pride and Prejudice by Jane Austen as part of our All About Jane series. Click here to listen to Dr. Mark Schenker's 2017 lecture on Sensibility and Sense: How the 18th Century Meets the 19th Century in Jane Austen's Novels. Click here to listen to Dr. Mark Schenker's 2016 lecture on One Flew Over the Cuckoo's Nest. Click here to listen to Dr. Mark Schenker's 2015 lecture Is There a Catch in the Catcher in the Rye. The Nonfictioneers meet on the first Tuesday of the month at 7 PM in the Dayton Program Room to discuss contemporary and classic nonfiction titles. Murder by the Book, the Library’s mystery discussion group, meets on the first Thursday of the month (except December) at 10:30 AM. The group meets in the Randolph Room on the Upper Level. The Critics’ Circle focuses mainly on fiction and meets on the third Tuesday of the month (except December) at 7 PM in the Dayton Program Room. Adult Services Librarian Dorothy Pawlowski facilitates the discussions. The Poetry Discussion Group meets monthly on the last Friday of the month (except July and August) at 1 PM in the Randolph Board Room. Discussions are led by Dr. Alan Holder, a poet and retired English professor. Sponsored by the Friends of the Library. The A.M. Book Group gets together on the fourth Wednesday of every month (except December) at 10 AM. The group is led by Barb Jennes and meets in the Randolph Room on the Upper Level. Food For Thought: A Culinary Book Group reads books that explore the many ways that food expresses, affects, and enriches our lives. Discussions are usually held on the fourth Monday of every month, excluding December. The Library also organizes book discussions for members of Founders Hall and Ridgefield Crossings. New readers are always welcome to Library’s book groups. Copies of the books may be purchased at Books on the Common at a 15% discount, or inquire about in-house and Inter-Library Loan availability by contacting Karen Kazzi at 203-438-2282 x11011 or klkazzi@ridgefieldlibrary.org. Many titles are also available as downloadable eBooks or audiobooks from OverDrive or hoopla. A monthly informal gathering where Library staff and fellow booklovers share reading recommendations and information about favorite books over coffee and refreshments. Click here to see upcoming Books and Breakfast meetings. Authors give an inside look at their work through lectures and discussions. Some of these programs are co-sponsored by Ridgefield’s independent bookstore, Books on the Common. Find out about other upcoming literature-related programs by clicking here.